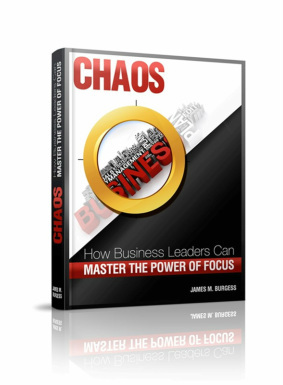 What If You Stayed Focused on Money-Making Activities that Built Your Business Success Week After Week? We’re so confident that you’ll love the Radical Focus Accountability workshop and be able to use the tools in your business right away that we’re covering it with our signature Positive Experience Promise guarantee. That’s right. If you attend the Radical Focus Accountability workshop and you just can’t see how it will deliver solid results for your business, we’ll refund your money. It’s a No Risk Investment! If you'd rather work with James in a small group setting we have an incredible offer for you. 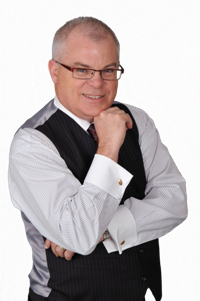 For those who act quickly, we're offering his acclaimed Radical FOCUS Accountability workshop normally at $387.00 for FREE for this Special Push Through For Success workshop. Covered by our Positive Experience Promise Guarantee the Radical FOCUS Accountability workshop is a Risk- FREE investment and we're sure you'll be thrilled by the results you get from this powerful workshop. To secure your seat at our Special Push Through For Success workshop for...... FREE and SAVE $387.00 register NOW and then click "Submit"! Listen, everyone is "working" to set the stage for closing out 2013 strongly but you really can! We are offering you this exclusive one time only Push Through For Success workshop which normally costs $387.00 to attend....for FREE. See your business future with clarity materialize right before your very eyes and build the plan to get you there plus get over $10,000 in Quick Wins that will have you WOWed by their power and simplicity. Join us for our Special Push Through For Success workshop for ..... FREE and SAVE $387.00 register NOW and then click "Submit"!